They're on the case! 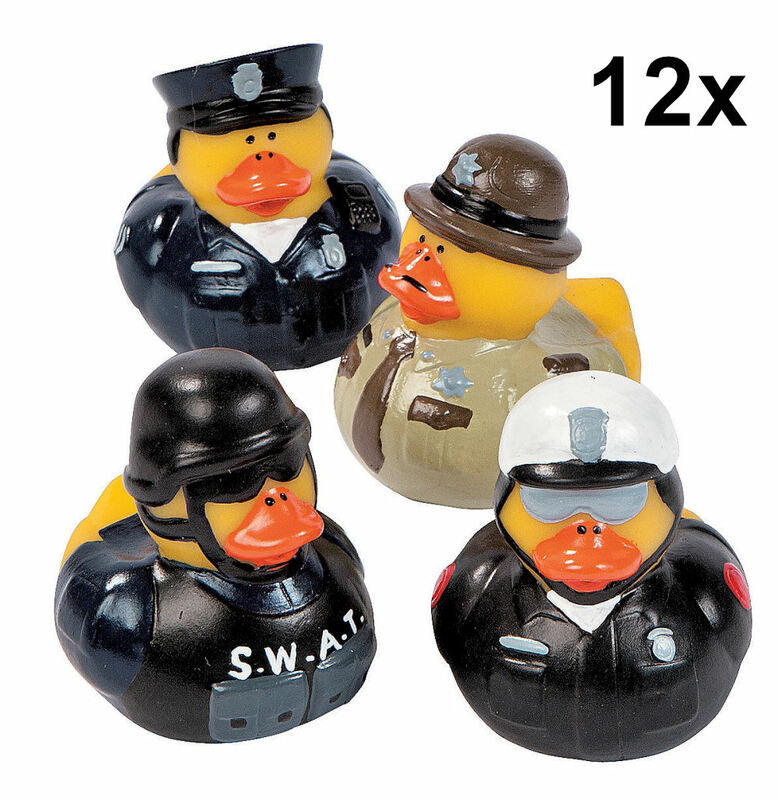 Call these 12 Law Enforcement Rubber Ducks for a fun emergency! Fantastic for story time or playing cops and robbers. Law Enforcement Rubber Duckies feature a S.W.A.T. duck, an officer duck, a state trooper duck and a motorcycle cop duck. Vinyl. 2 1/4 inch duckies do not float upright.